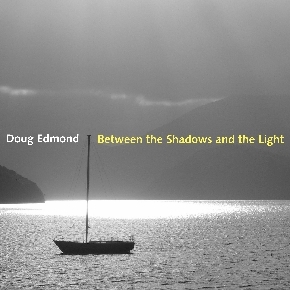 Doug Edmond, singer, songwriter, pianist and flutist is an independent jazz roots/alternative artist. Doug performs solo or with his trio or five piece band in many local and festival venues across the province and north west Ontario. His previous albums and over 25 live performances per year over the past 10 years reflect diverse musical influences and styles. He has performed at the past five TD Winnipeg International Jazz Festival paying tribute to Tom Waits in 2012. Skipping Stones is his third album produced by juno award winner Mitch Dorge of Crash Test Dummies fame. The new tunes reflect personal experiences that connect with listeners demonstrating a soulful approach to song writing and a true understanding of the relationship of his audience. Doug’s lyrics and singing talent continues to draw in his audience be it a small intimate lounge or a large outdoor festival stage. Singer-pianist Edmond's album finds him betwixt a number of genres and influences. While his raspy pipes and folksy delivery suggest he's spent quality time with Bob Dylan's catalogue, some jazzy pop and burbling guitars move things in a Knopfler-esque direction - as the mellow saxophone and soulful elements take a detour to Van Morrison's realm. Rather than being neither here nor there, Edmond makes “between” seems like the right place to be. Songwriter, pianist and singer Doug Edmond has teamed up with many other musicians and vocalists for Starry Nights, a jazzy compilation of holiday tunes. While all the songs are excellent....the smaller instrumental tracks really shine. The record starts off with a saxophone, courtesy of Bill Spornitz, playing a small portion of carols such as The First Noel before launching into one of Edmond’s original songs. Guitar arrangements and a piano instrumental between tracks sound beautiful, too. Basically, this is a group of musicians using their talents to make Christmas music a little bit better and a lot more interesting.